What are your kids going to be doing this summer once they are out of school? If you are at a loss for things your kids can do and you need to find some great activities for the kids, you can always consider one of the many summer camps in the Jacksonville, Florida area. There are many types of camps that can appeal to kids with varying interest types. Let’s look at some of the camps that you might want to consider for your own children. Those who have kids that love art and who are looking for a half-day camp might want to consider KidzArt Camps. The camps run for five days, and they have specific themes that your kids may enjoy. For example, some of the themes for the 2017 summer camps include Caribbean adventure, Princess camp, wild about animals, and the art under the big top camp. Each of the programs costs $185. MOSH, or the Museum of Science and History, in Jacksonville, has great summer camp programs available that are available for kids of different age levels. They have camps for kindergarteners and first graders, second and third graders, fourth and fifth graders, and sixth and eighth graders. Some of the themes available include mad science, dinosaurs, myths, natural disasters, and more. The cost for the weeklong day camps is $164 for MOSH members and $205 for those who are not members. Extended care is available for children for an additional $10 a day. This is a day camp for kids who are between six years old and fourteen years old. It is possible to register for just a day, for a week, or for the entire summer. It is a great way to keep kids active and healthy. The pricing is $45 daily, and $195 per week. There is extended care available for $20 additional daily. 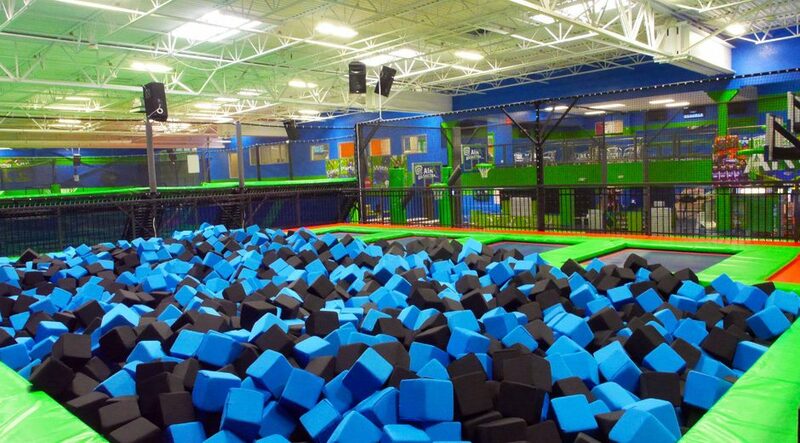 Rebounderz also offers a $15 off sibling discount for weekly camp. Some of the activities include laser tag, climbing walls, and arts & crafts. Cummer Museum in Jacksonville is another option. It provides day camp Monday through Friday from 9 am to 3:30 pm with aftercare available for additional fees. It is available for grades one through six and offers many different types of activities. The cost for the camp is $180 for members and $215 for nonmembers per week. If you have children who love horses, they will enjoy spending time at Diamond D Ranch Summer Horse Camp. It is a Monday through Friday day camp from 8:30 am to 5 pm. Overnight is for girls only with a Monday drop off at 8:30 am and a Friday pickup at 5 pm. Those who are between eight and seventeen years old can go to the camp. The campers will be spending a lot of time in the saddle, so it should be great fun. For the overnight camp for the girls, the cost is $829.25 per week. The day camp cost is $508.25 per week. The LEGO Robotics Summer Camp is available for children between four and 15 years old. It teaches them to design, build, and program LEGO robots. The cost of the full day camp is from $300 per week, and could be a good choice for any child who loves LEGO. Another option to consider for those who have children that love dancing is Mark Spivak’s Summer Fun Dance Camp. It features three summer sessions of day camps, and on Fridays, they will provide pizza and ice cream. It is a good option for those who want to have fun learning dance and who are between four and eleven years old. The cost for the two-week session is $240, as well as $35 for registration and supplies, or $55 for a family. Saltwater Cowgirls is on Jacksonville Beach and offers several weekly sessions through the summer. This is a half-day camp from 9:30 am to 12:30 pm Monday through Friday for those aged seven to seventeen. It is the perfect choice for those who want to learn how to surf. The cost is $200, which includes a camp bag. The First Tee of North Florida offers weekly summer camps that teach golf and help to promote health and wellness. Half days are available for those five and up from 9 am to 12 pm, and for those nine and up from 1 pm to 5 pm. Full days are also available from 9 am to 12 pm. The cost for a week of half days is $125 and a week of full days is $175. The camp has two sessions and it runs for half a day. The first through fourth graders are kept together, and so are the fifth through twelfth graders. The tuition for the camp is $150. These are just some of the many camps in the area that might be a perfect fit for your child. Find something that works well for you.